One of the many cool things about the 13-Disc Marvel Cinematic Universe: Phase 2 Blu-ray Set that was released on December 8th are the bonus featurettes that are exclusive to the collection. 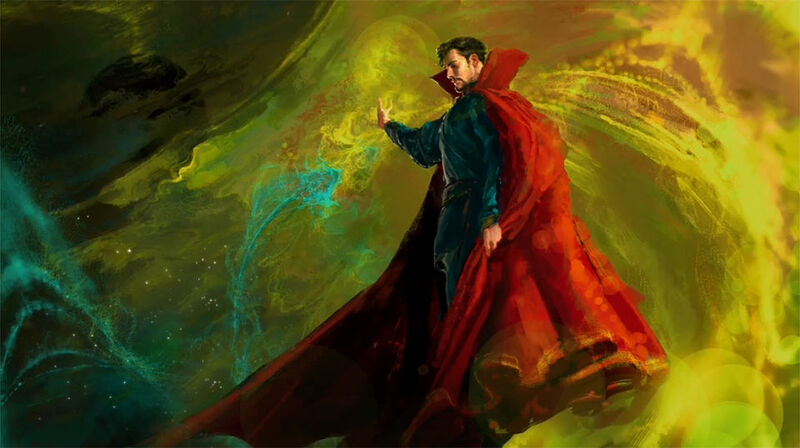 One of those featurettes is a Doctor Strange one that includes some really neat concept art. Heres just a clip from that featurette. I dont know about you, but I am totally looking forward to this movie! CAN'T WAAAAIIIIT. Doctor Strange is set to be released November 4th 2016 and is directed by Scott Derrickoson, with writing credits going to Steve Ditko, Thomas Dean Donnelly, Joshua Oppenheimer and Jon Spaihts. The movie stars Benedict Cumberbatch, Rachel McAdams, and Tilda Swinton.